Physics is a gateway to opportunities for working in diverse settings including education, industry, and for pursuing advanced degrees. Our 4-year Bachelor of Science Degree in Physics is designed for students interested in the study of the nature and properties of matter and energy in order to solve complex problems. 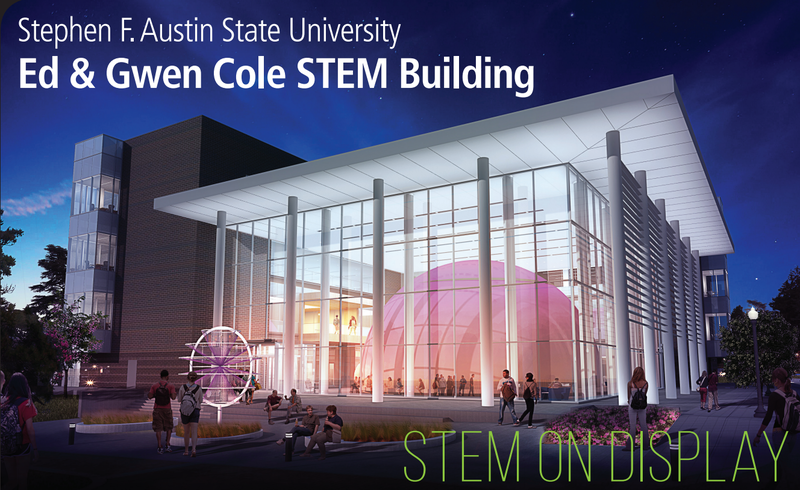 This 4-year Bachelor of Science Degree is designed for students seeking innovative careers in high-tech areas where multiple engineering disciplines merge. Graduates will be prepared to enter diverse areas such as mechanical controls, digital and analog electronics, instrumentation, robotics and manufacturing process control. The astronomy minor has been developed for students who have interests in astronomy beyond the introductory level. The course of study includes introductory physics, introductory astronomy, observational astronomy and astrophysics. 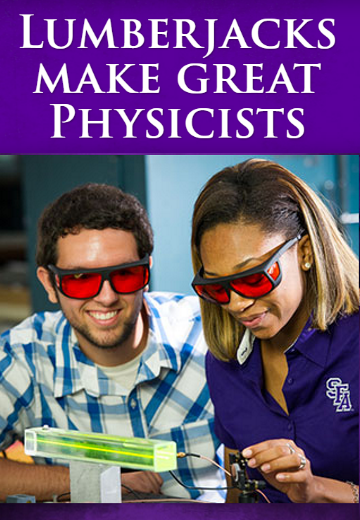 Students in this program have to opportunity to use telescopes at the SFA Observatory.